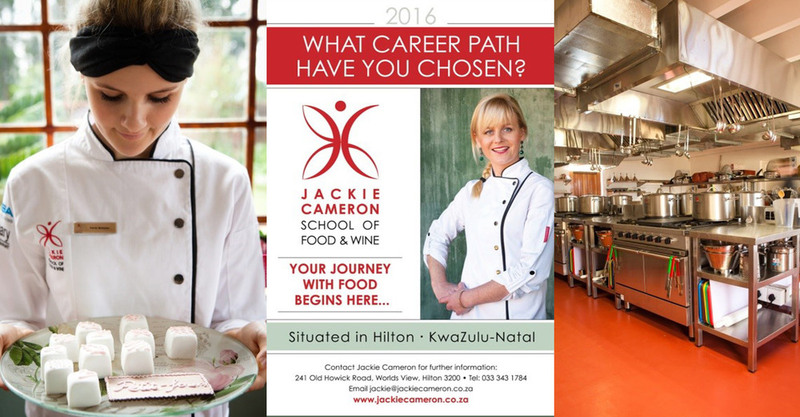 This is your opportunity to: meet Jackie and her students; view the school; ask all relevant questions about the school and this extremely-exciting industry. We at Jackie Cameron School of Food & Wine believe there is only one way to do things… and that is properly. That’s why we have sourced the best. I have listed a few examples below. Equipment from the Culinary Group is made in France and Italy. Riedel supplies our wine glasses. A French linguist conducts French-terminology lectures. World-renowned cake icer teaches her craft. It’s the only chef course in the country to offer WSET’s (Wine Spirit Education Trust) internationally-recognised course - the standard in 62 countries around the world. The school is aligned with the Nelson Mandela Metropolitan University Business School.